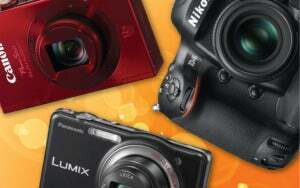 Much has been written about the smartphone’s detrimental impact on point-and-shoot camera sales. Not enough has been written about an even bigger casualty of today’s do-everything phones: the once-revolutionary pocket camcorder. Look no further than the category-defining Flip: Originating just five years ago, Pure Digital’s pocket camcorder caught on as a surprise hit, became the top-selling camcorder in the United States, and attracted nearly $600 million in a buyout by Cisco. Merely two years after that sale, Cisco discontinued the Flip line--while the Flip was still the top-selling video camera on the market. You can chalk up Flip's abrupt end to the rise of smartphones, which not only shoot serviceable high-def video but also allow you to share that footage nearly instantly. 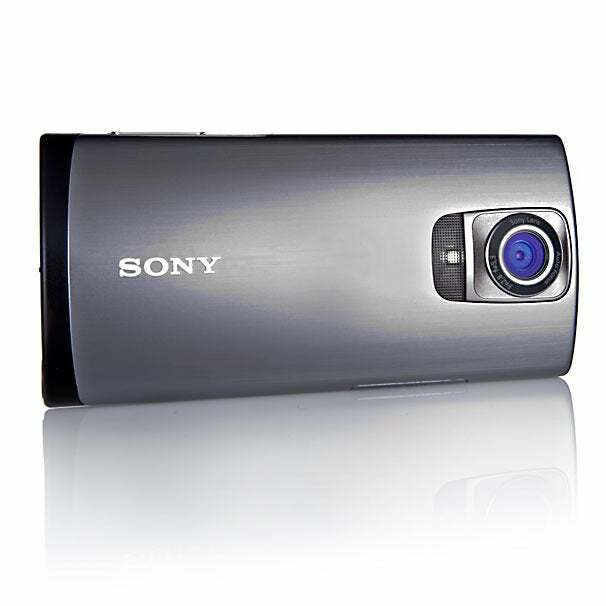 In terms of sharing features, however, the Sony Bloggie Live MHS-TS55 ($250 as of March 13, 2012) is the first pocket camcorder out there that's putting up a fight. Sony built the Bloggie Live with one-upping smartphones in mind: According to the company, the product's video capabilities were developed specifically to outshine those in Apple’s iPhone 4S and Samsung’s Galaxy S II phones, and the Bloggie Live is also the first pocket camcorder on the market to offer live streaming via Wi-Fi and peer-to-peer sharing with smartphones and tablets. It shoots 1080p video, takes 12-megapixel photos, and sports a slick design. Ultimately, though, that all adds up to a talented underdog in a brutal NCAA tournament stacked with powerhouse mobile devices. Although the Sony Bloggie Live has physical buttons for starting and stopping recording, snapping photos, and powering the device on and off, you access most of the core in-camera features via the Bloggie’s 3-inch capacitive touchscreen. An internal 8GB drive handles the storage. 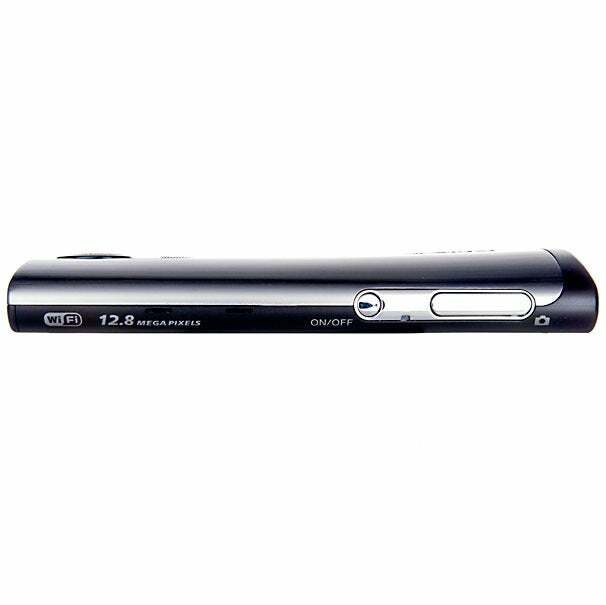 Tapping the camcorder’s on-screen Menu button lets you choose from three video resolution options (720p/30 fps, 720p/60 fps, or 1080p/30 fps), three photo resolution options (2, 8, or 12 megapixels), a flicker-reduction option for filming footage on a TV or monitor screen, and a 10-second self-timer for unmanned shots. Other touchscreen controls include a slider that operates the camcorder’s 4X digital-only zoom, and an icon that powers on the Bloggie’s front-mounted LED lamp. You can turn the LED lamp on or off while shooting video or stills, but it doesn't work as a traditional flash when you're snapping photos. The Menu button also provides access to the Bloggie Live’s wireless sharing features, including live streaming; uploading directly to Facebook, YouTube, and Sony’s new PlayMemories Online service; and pairing the camcorder to another mobile device for viewing and sharing items via a smartphone or tablet (you’ll need to download a free iOS or Android app to your device for the latter feature to work). The touchscreen was responsive in my tests, but the on-screen icons can be a bit small and sometimes take a couple of presses to register. Although the device lets you power it on and off, record footage, and snap a photo via physical buttons, having physical controls for the camera’s digital zoom would have been nice as well. The on-screen zoom controls are at the bottom of the touchscreen, and the camcorder supports touch-to-focus and exposure controls while filming; I accidentally zoomed in and refocused a few times while shooting our live-stream tests, but I can largely attribute it to the fact that I was operating two cameras at the same time. The Bloggie Live is a good-looking, solidly built device, with a brushed-metal faceplate and a tapered body that gets thicker at the bottom. This design accomplishes two things: It makes the camcorder feel good in the hand, and it provides enough surface area on the bottom for free-standing support. You'll find a tripod mount on the bottom of the Bloggie Live, too, as well as a USB connector that clicks in and out thanks to a spring-loaded hinge. One nice touch is the included USB extender cable, which comes in handy if your computer’s USB port is in a hard-to-reach place for charging the device and offloading clips. I tested the Bloggie’s live-streaming capabilities over our office’s Wi-Fi connection, which requires a password for access. After you select 'Live Streaming' from the Bloggie Menu and pick an access point, an on-screen keyboard pops up in landscape mode to allow you to enter a password. It worked without a hitch for me, although the Bloggie Live’s screen--small in comparison with that of a smartphone--demands a bit more finesse to press the right keys. Streaming video also requires setting up a free Qik account using a device other than the Bloggie Live itself. Again, this part of the process worked as advertised, and a dedicated 'Looking to broadcast live with your Sony Bloggie?' section on the Qik sign-up page makes new registrations a bit easier. During my hands-on tests, I filmed a few clips side by side using the Sony Bloggie Live (over Wi-Fi) and the Apple iPhone 4S (over a 3G connection), having loaded both devices with the appropriate Qik app. I shot the clips at the highest resolution that Qik’s streaming app supports for each device: 480 by 240 pixels with the Bloggie Live, and 352 by 288 pixels with the iPhone 4S. You can see the results for yourself: Watch the simultaneously streamed footage from the Sony Bloggie Live and the iPhone 4S. In addition to the discrepancies in resolution, the clips had noticeable differences in image quality, some of which you’ll see by viewing the test footage. The Bloggie Live’s video generally looked sharper and handled dramatic changes in lighting conditions more seamlessly, but its white balance was a bit off, creating a blue cast in most indoor scenes. The iPhone 4S tended to reproduce colors more realistically, but it also struggled more visibly with backlighting issues, and it tended to oversaturate colors in some cases. Note that the Bloggie Live also did a better job in correcting the “wobble” resulting from walking with the camcorder; its digital stabilization system worked well in our tests. All in all, the Bloggie Live showed better contrast, detail, backlight-correction, and shake-correction when live-streaming video, while the iPhone 4S produced more-colorful video with good white balance. One of the comparative benefits of live-streaming video with the Bloggie Live is that the camcorder also saves a 1080p version of each streaming clip as you're filming it. When you use the Qik app for the iPhone 4S, the streaming footage is the only copy you get, and the app doesn’t save a full-HD version of the video to your camera roll. This is one area in which the Bloggie Live outshines most streaming-capable smartphones, as you have the option of uploading a 1080p video separately after your live-stream is complete. However, you’ll need to upload the 1080p clips by yourself later; the Bloggie Live’s Qik app doesn’t automatically replace the lower-resolution clips with high-definition versions after the broadcast is done. Outside of the live-streaming mode, you can pair the Bloggie Live to your phone or tablet for viewing images and offloading them to the mobile device’s storage wirelessly. To enable remote viewing, you need to download the free Sony PlayMemories Mobile app to your iOS or Android device; the app acts as a viewer and a downloading interface for the videos and images you want to save. Once you select 'View on Smartphone' from the Bloggie Live’s menu, the Bloggie Live shows up as an access point in your phone or tablet’s Wi-Fi settings, and you enter a password that appears on the camcorder’s screen. The whole setup process takes about a minute. In my hands-on tests, I was able to transfer a 6-minute video from the Bloggie Live to the iPhone wirelessly in a little more than a minute, but the resulting video was a much smaller size than your average native iPhone video (see the screenshot to the left). Wireless still-image transfers took about a second or two each, and they also appeared downscaled from their full 12-megapixel resolution; once they reached the iPhone, they ended up as 1920-by-1440-pixel images (just short of 3 megapixels). Overall, the mobile wireless-sharing function works decently, as long as you’re willing to deal with lower-resolution images and video once you've beamed them over to another device. The Bloggie Live also supports direct uploads from the camera to social-networking and sharing sites, which are limited to a few options--Dailymotion, Facebook, Flickr, Picasa, and YouTube--in the device's 'Post and Share' menu. In my tests, I uploaded an image to Flickr in about a second, and sent a minute-long video to YouTube in just a few seconds. Again, however, some downsizing happens in the background: A 12-megapixel photo shrank to 0.7-megapixel resolution in order to upload quickly, and a 1080p video became a 640-by-360-pixel version in my YouTube test. In our lab-based subjective tests for still and video quality, the Sony Bloggie Live earned an overall score of Very Good. Despite performing very well for a small-size camcorder, it failed to clearly outshine some of its noted smartphone competitors in the same tests. The Bloggie Live received scores of Very Good for overall video quality and audio quality in our movie tests, as well as Very Good marks for exposure quality and color accuracy in our still-image tests. However, all of that added up to about the same aggregate imaging scores as we saw from the iPhone 4S and Samsung Galaxy S II, the two camera phones that Sony was hoping to outgun with the Bloggie Live. During my hands-on tests, the Bloggie Live proved a worthy alternative to a basic compact point-and-shoot camera in image quality. The touch-to-focus controls work well, and the Bloggie has decent macro capabilities (around 2 inches away from the subject) that produce a shallow depth of field. 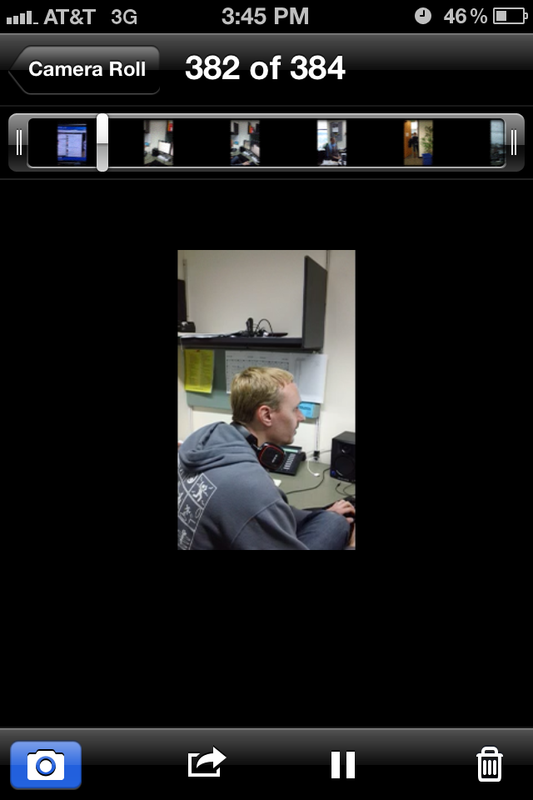 You can view the sample images and video we shot for our Bloggie Live subjective tests here, as well as the videos we shot with the iPhone 4S and the Galaxy S II for comparison purposes. Select 1080p in the bottom-right corner of each player to see the highest-resolution video we recorded with each device. Without a doubt, the Sony Bloggie Live is the most versatile pocket camcorder we’ve tested in terms of wireless streaming, peer-to-peer sharing, and still-image resolution. Admittedly, it lacks a couple of useful features found in Kodak's Zi8, such as a mic-in port, a dedicated macro/landscape toggle, and removable storage. Is it a compelling alternative to a higher-end smartphone? That depends on whether you already own a smartphone, and on how much you value the Bloggie’s live-streaming skills. The Bloggie Live is a very good video performer; outside of its streaming mode, though, it didn’t produce mind-bogglingly superior video in comparison with the top smartphones it was built to compete against. 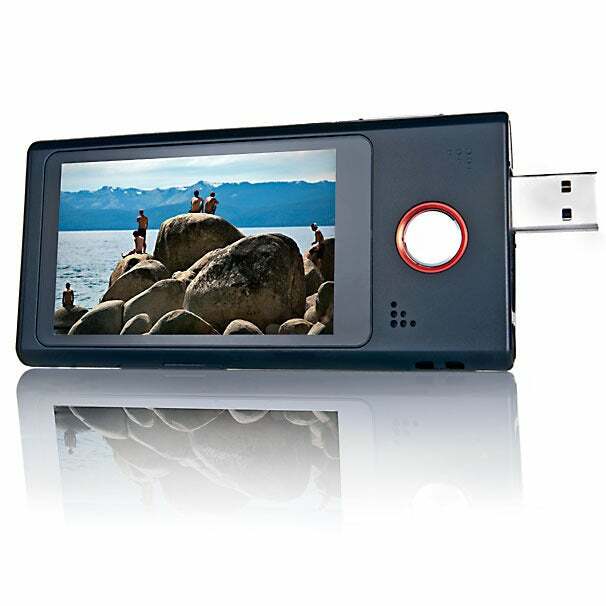 When shooting 1080p video, it was strictly on a par with the output of smartphones such as the Apple iPhone 4S and the Samsung Galaxy S II, although it does have better stabilization features and output controls than both of those phones. In live-streaming mode, the Bloggie Live produces a few more benefits, including sharper video and the option of saving the streaming footage as a high-definition 1080p clip to its hard drive. If you’re looking specifically for a pocket camcorder, the Bloggie Live is a solid option, with wireless sharing features that you won't find in any other model. If you’re seeking a handheld device to replace or augment the 1080p video or image-capture quality of your phone, the Bloggie Live largely matches the output of today’s top phone cameras. And if you’re shopping for a dedicated video-streaming device that won’t eat into your phone’s data plan or battery life, the Bloggie Live may be worth the price. The Sony Bloggie Live is an excellent pocket camcorder with groundbreaking wireless features, but it's a tough sell in the age of do-everything smartphones.